There was a time in my field work life that I frequented Zambales. And since there are no decent hotels by the road at the time, we always stayed at Tammy’s Beach Resort in Iba. And, though it’s weird to have two big beds all to myself, the stay at Tammy’s, in my experience, is always good. Food was also good, especially their Kinilaw! 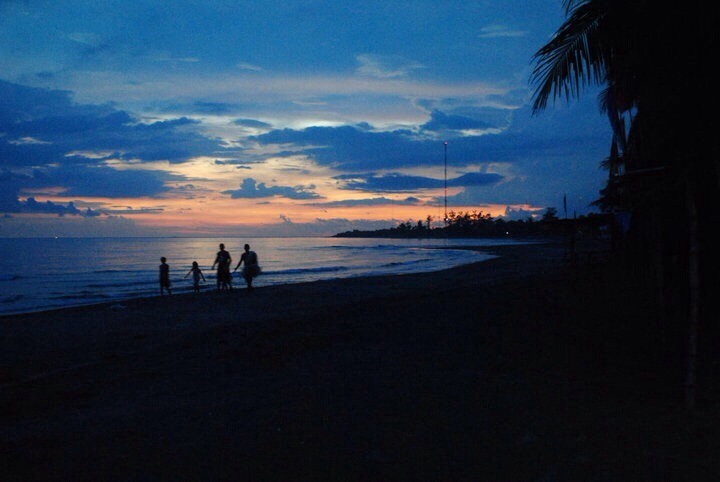 I remember the day when I took this shot — we were just arriving at the resort after field visit in the northern clusters of farms in Zambales, so I literally ran to the beach and caught the sunset. It was really nice and pretty at dusk and, at day the sand glitters in your hand as the sun hits it. I’m guessing it’s because of the tiny crystals that are mixed with the sand. Though not as popular yet to tourists as the beaches of Alaminos or Puerto Galera or Batangas, Tammy’s Beach Resort and the other ones along the coastline of Iba and Zambales are definitely worth a try!